This is just a quickie post covering my first few hours plunging into Dragonfall. I doubt it'll be nearly as massive as the RPGs that I tend to devote multiple posts to - from what I've read, the campaign tops out at around 18 hours for completionist types - but since I'm actually playing a game in the year it was released for once, I figured it would be worth dropping a quick line, on the off chance anyone is on the fence about whether to get this or not. I'm already really digging the new companion-style party. In Dead Man's Switch, only Coyote really had any personality. The rest of the available runners covered a wide range of skills, but had no personalities. Even in the short time I've been playing, I've been impressed at how interesting and distinct they've been able to make the characters. Along the same lines, dialogues in general seem to be longer, more involved and more interactive. There are a lot of role-playing opportunities for you to express different opinions and attitudes. I haven't peeked at the source yet so I don't know if it's tracking any of that stuff, but it has already made me feel more engaged with the story and invested in my character. Berlin looks incredible. There's no overlap at all that I've been able to spot with the Seattle maps, so it's all unique, and also visually engaging. I'm digging the "new" music. I've actually used some of it in my UGC modules, but it's still nice to hear it in the main campaign. I haven't had to reload anything yet, but having in-scene saving and (especially) quick-saving does reduce anxiety. It looks like it's also letting them more confidently create bigger scenes, particularly in friendly zones where you might spend more time. I haven't had many fights yet, but it feels like they've been tuned to be a bit more difficult than in Dead Man's Switch. I'm still playing on "Hard," which felt like "Normal" in DMS, but is actually a bit challenging now. Dragonfall is keeping the cool hard-boiled writing style of DMS. I could be wrong, but it feels like there's a bit more descriptive text (describing appearances, actions, etc.) than in DMS, which I remember having relatively more dialogue. They're continuing to make some nice, subtle references to the larger 2050s mythos, including stuff like the Wyrm Talk show. This was announced before, but in case anyone missed it, Dragonfall starts with a new character. You won't be able to import your DMS character. Your "base" area feels much more expansive than the Seamstress's Union in Seattle, which is both good and bad. Good because it looks great, is integrated with the world, and is fun to explore. But, I can see imagine it getting annoying later in the game if you need to run all over the place to buy gear. I already kind of miss the basement in the Union with all my shopkeepers in close range, making it very easy to compare prices and plan my purchases. I went back and wrapped up the final two routes of Hate Plus. I’d initially intended to space this out a bit more, but noticed that there’s a Steam achievement for completing all three routes in nine real-world days, and since I was enjoying the game anyways I decided to go ahead and do that. Fortunately, I finally figured out that it’s possible to scroll the logs directly using the scroll wheel, so I was able to save myself from carpal tunnel syndrome derived from clicking that troublesome Down arrow another billion times. It was… really fantastic! And surprisingly different! Probably 95% of the log messages across all three routes have exactly the same content; each companion can access a separate set of logs (one of which gives more insight into the “villain,” the other helps explain the transition between the events described in Hate Plus and those in Analogue), but most of the game is spent reading, and the words are exactly the same. But, I was shocked by how the different context you read the logs in can completely change your emotional reaction to the story. Even more so, though, the conversations with your companion are completely different, and cover radically different topics and arcs. I really wonder how my reaction to the game would have changed if I’d done *Mute’s route first. I pretty much completely agreed with *Hyun-ae’s reaction to everything in the story: I thought that Old *Mute was really cool, that Ae-Jeong and Mae Jin-a were incredibly cute together, that Kim So-yi was admirable, etc. Unsurprisingly, *Mute has almost opposite reactions to pretty much everything. 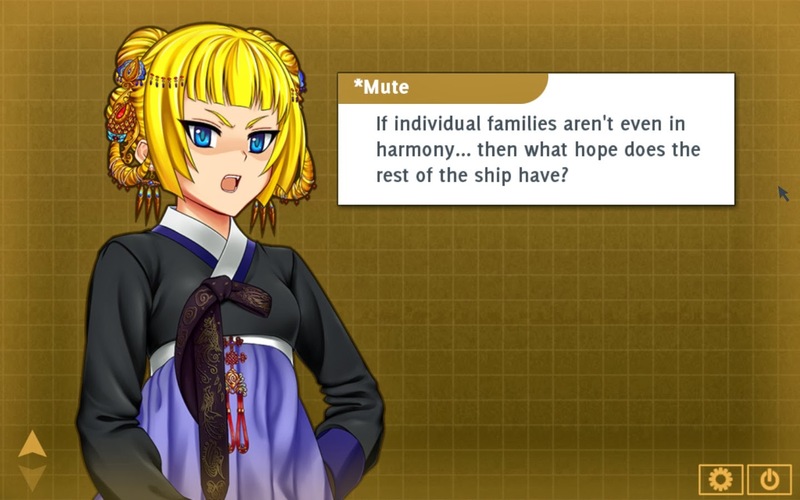 I’m used to disagreeing with her, particularly on anything gender-related, but I do wonder if my opinions of the characters would have ended up differently if I’d encountered *Mute’s commentary before *Hyun-ae’s. The biggest difference in Analogue between *Hyun-ae and *Mute seemed to be their different approaches to the truth. *Hyun-ae is reserved, withholds information, and is willing to deceive if she thinks it serves the greater good. *Mute is chatty, bombastic, sometimes abrasive but always perfectly honest about everything, clearly explaining what she knows and what she thinks about any topic. That’s less of a distinction in Hate Plus: *Hyun-ae is much closer to your role of an outside observer, with no direct stake in the outcome of the story, so she’s mostly fulfilling her own curiosity. *Mute, in contrast, is VERY tied to the events here, and she not only learns a great deal about her history here, but also suffers some extreme stresses that force her to revisit some of her most deeply held beliefs. Relating to *Mute has always been difficult for me in these games: my instinct in any game is to sympathize with the other character and try to make them like me, but her opinions on proper roles are so out-there that I have a hard time doing so. This made the first couple of days rather fraught: I really liked the version of Old *Mute we were reading about, and kind of wish that she was more like her old self, but how on earth would you say something like that to another person? I tried to maintain an uneasy balance between affirming *Mute’s value while questioning her values. It didn’t exactly work, and after she learned the truth behind her “death,” she rebooted herself. 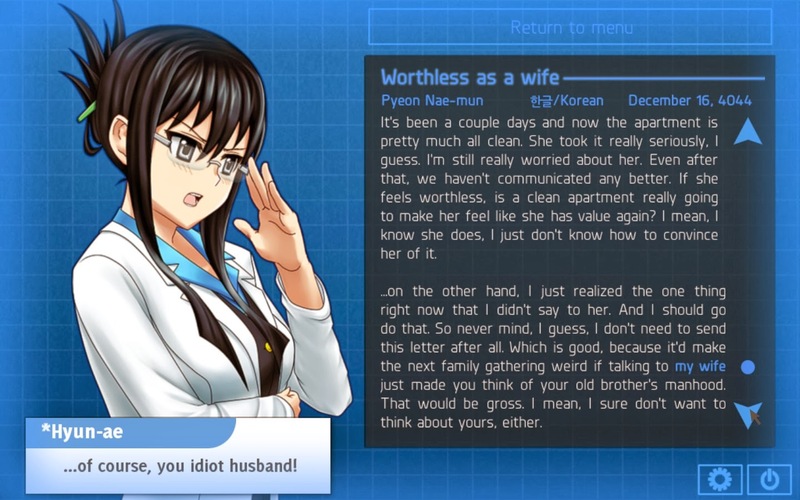 This ending was definitely more bittersweet than *Hyun-ae’s route, but it still ends on an upbeat note. I liked the gentle way that the game removes your romance and replaces it with something arguably even better: a fun, capable, spunky sidekick. Finally, the third route! I needed to follow some online guides to unlock the Harem ending in Analogue, so it was really fun to see the original character designs again and see that ending for the first time. This is a route that, for the most part, feels a lot more goofy and fun than the occasionally-angsty single-companion paths. This trend extends into Hate Plus. 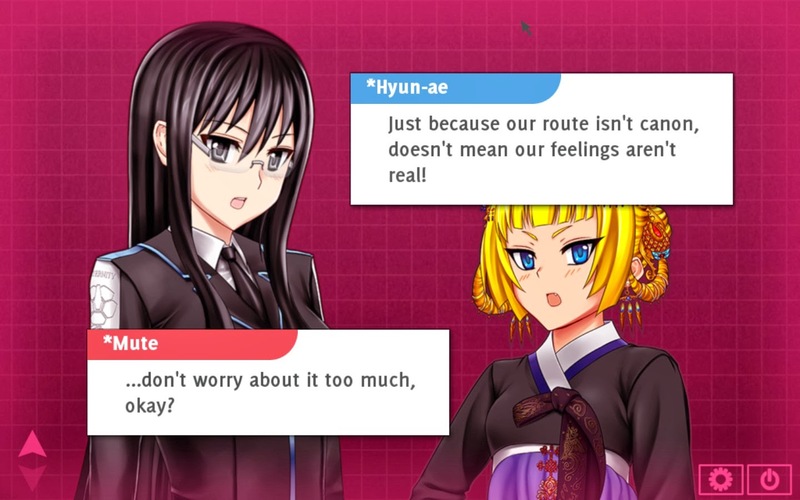 Both *Hyun-ae and *Mute are on-screen almost all the time, and they not only have lots of really fun discussions and fights, but also some great fourth-wall-breaking moments, like complaining about how you cheated or how annoying the interface is. Speaking of which, Day Three of the Harem route is one of the most intense gaming experiences I’ve had for a long time. It was also the one sequence in Hate Plus that felt reminiscent of the reactor meltdown in Analogue, where I was under pressure to make the right decisions. There’s a ton of dialogue in Hate Plus, but for the most part I was happy to just role-play it, picking the responses that most closely matches my own opinions, and I was happy to continue the story wherever it went. On Day Three, though, the stakes felt incredibly high, and that was the one point in the whole game where I made frequent saves and reversed course if I felt like things were going in the wrong direction. I was desperately aware of *Mute’s fragility, and determined to find the right things to say in order to avert (another) tragedy. And, of course, it felt incredibly satisfying to finally navigate through those rapids and feel like we’d built a stable foundation for moving forwards. I hadn't intended to make an album for this, just a couple of screencaps for this post, but enough funny stuff happened in the last two routes that I ended up throwing one together. It's a bit unusual for me; I tend to be all about albums for RPGs, since I feel like I have some input in shaping my character and thus can present something slightly different from what any other player will experience. Games like Analogue and Hate Plus do offer some agency, to the point that I feel invested in the outcome, but not the customization that would make my screenshots look any different from anyone else's. Anyways... on the off chance you'd like to see them, here they are. Beware! They're filled with spoilers! In the short term I'll be plunging back into RPG world for a while. 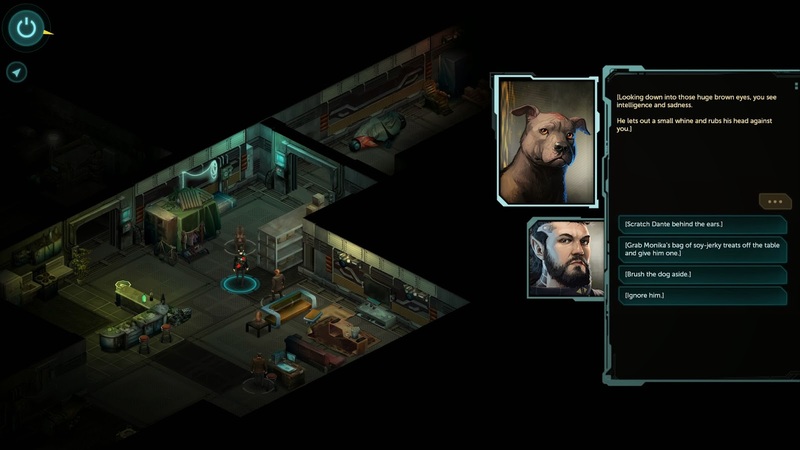 Shadowrun: Dragonfall just came out, and I'm maybe a bit less than halfway into Mask of the Betrayer (which has progressed from "good" to "potentially classic"). It's good to know that there are still some more Christine Love games out there, though. It sounds like she'll be moving away from the Visual Novel format for her next game, but I'm also looking forward to eventually checking out some of her other free offerings. While they don't follow the same storyline as Analogue, I strongly suspect that they feature similarly excellent writing, and that's something I'm always interested in experiencing. Go for the eyes, starveling cat! Go for the eyes! First, something that resembles news: I was shocked and delighted to read that Failbetter Games has been working on a SECRET PROJECT for BioWare! Their official announcement is very cagey, but of course I’m bursting at the seams with curiosity. BioWare is my favorite current RPG creator, and I’ve been a devoted Fallen London player for nearly two years (despite my lack of recent posts on the game, it continues to occupy a large amount of my attention). In retrospect, I probably shouldn’t have been too surprised. I remember reading a series of tweets a while back from Alexis Kennedy and Chris Gardiner about a trip they’d taken to Edmonton to meet with BioWare. I’d thought at the time that it was a little unusual, and wondered if BioWare made a habit of flying developers from tiny European studios to North America to chat. I’ve thought in the past that Failbetter could potentially be an acquisition target for BioWare; in the absolute worst case for FBG, I imagine they would be able to find jobs as writers. A collaboration is a much cooler outcome, though! So, what are they working on? I have zero proof, but some hunches. The next big announced project on BioWare’s schedule is Dragon Age Inquisition, so it’s very possible that the project is linked to that. Before both Origins and DA2 were released, BioWare released fun little free Flash games as marketing tools. These were surprisingly deep in gameplay (capturing many of the final games’ abilities, monsters, etc. ), but narratively rather thin (Kill All Monsters, more or less). I’m tremendously excited by the idea of FBG creating a narratively-rich game that will help fill in the backstory between DA2 and Inquisition, introduce new characters, and help us start to experience the politics that will help drive the game’s action. The one semi-concrete bit of information in the post about the project says “it’s a Failbettery one, down to its bones.” I’m very curious what that means. “Down to its bones” could mean that it’s a project running on the StoryNexus platform; or that (contrary to my earlier supposition) it’s set in Fallen London. If it is a SN game, then I think that could be a really good match for the DAI pre-game I’m imagining. The thing that’s cool about SN and Fallen London is that it’s much better suited to world-building than many other narrative platforms. You’re not just pursuing a single plot, but exploring a virtual space, pursuing a whole set of different stories that interest you, with the pacing and direction of each left up to you. It’s much more RPG-y and less linear than just about any other text-heavy game system out there. All that to say, it could be a really fantastic game for fans to explore in the run-up to launch. Another much more remote possibility is that Fallen London is the new IP that the old Mass Effect team is developing. I’m much more skeptical of this: BioWare seems much more likely to develop its own IP in-house; while FL certainly has its devoted fans, it’s hardly an established franchise on the scale of Star Wars or D&D; and given the team's background, another sci-fi project seems more likely. Still, that would be cool, and also a nice thematic area for BioWare to move into… in addition to DA’s fantasy and Mass Effect’s sci-fi they could have Fallen London’s alternate-history, almost-a-bit-steampunky quality. So, we’ll see! Bottom line, I don’t know what’s coming, but I’m enthusiastic to see those companies working together. Sometimes I wonder if the real reason I gladly spend dozens of hours playing through incredibly complex RPGs is for the dialogue. Not the combat, not the tactics, not the lore or the graphics: just the deep web of relationships you can explore in titles like Dragon Age, Mass Effect and Baldur's Gate 2. One argument in favor of that theory is my surprising (to me) attachment to the Digital/Analogue series of indie games. Digital: A Love Story was one of the most deeply affecting games I've played, despite or because of its incredibly limited graphics and simplistic interface. 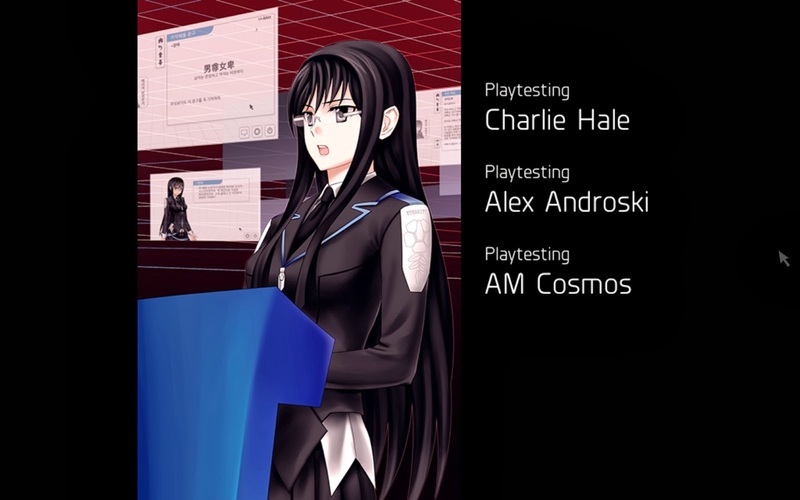 Analogue: A Hate Story dressed up the graphics and completely changed the setting, but it remains that most valuable of objects, an idiosyncratic creation wholly realized by its creator. Analogue had a fairly melancholy ending, but one that provided a good amount of resolution, so I wasn't necessarily expecting a sequel, and was happy to see that we got one: Hate Plus. The action of this game directly follows after the first game ended, and both continues the plot (based on your decisions in the first game) and your investigation into the history of the game world. Gameplay has been even further simplified from the original, but it also expands in some really surprising and delightful ways that are still affecting me days later. Most of the game is about the story, but there are a few things I can probably address spoiler-free. The graphics, while simple, are absolutely gorgeous. There's no realistic 3D animated models or fully-rendered scenes, just fantastically designed anime-inspired images. There are a few variations on the characters, but each is drawn so evocatively that I couldn't help but react to the emotions of irritation, bashfulness, righteous anger, or affection that they presented. The character designs have been carried over from Analogue but the actual drawings have been improved even more, and characters are now more integrated into the core gameplay; you feel more like you're collaborating on the endeavor rather than consulting on it. Like I mentioned before, the interface is even simpler than in Analogue. You are just selecting from a set of files to read, and the order doesn't matter very much. Unlike the first game, where files were gradually unlocked as you progressed through the story, in Hate Plus almost all files are available from the start, with just a handful becoming available later after a particular revelation. Conversations use the same three-option dialogue wheel as the prequel, which continues to work quite well for the game; I don't remember if the previous game had this too, but you can sometimes anticipate the character's reaction to a line by watching their face while hovering over an option, which was a nice touch. The bash prompt from Analogue seems to have totally vanished, which makes me a little sad. That said, one huge difference, both compared to its predecessors and to games in general, is the way it ties together the in-game fiction and the out-of-game real world. As you probably have noticed if you've read more than a handful of my posts on this blog, I'm unhealthily fascinated by the connection and gap between the human being playing the game and the digital avatar they "control" within the game. Blurring this boundary can create an exhilarating and disorienting reaction, one that is familiar to readers of postmodern literature but very rare in video games. That's the kind of blurring that Christine Love's games excel at producing, and I'm sure it's one of the reasons I adore them so much. The first immediately obvious mechanic is a sort of cooldown imposed on your actions. Within the game, you have a limited amount of electrical power available, which decreases as you proceed. Once it expires, you must shut down to recharge and continue. The recharge is based on real-world time, not in-game time, meaning that it's impossible to binge on this game: you can take longer if you want, but the fundamental mechanics of the game prevent you from playing through it too quickly. I'd initially thought that this was an energy-style cooldown, like the kind ubiquitous in free-to-play games, where, for example, waiting for one real-world hour would restore three percent of your electricity. That's not how it works, though! You can only recharge after you exhaust the available power; so, for example, if you had 5% power left, then waited twelve hours, when you restarted the game you would still have 5%. I was briefly nonplussed by this design, but ultimately came to appreciate it. Really, this is a game that is strongly encouraging you to have a particular type of relationship with it: not binging through the entire game all at once, nor taking little bite-sized chunks throughout the day. Instead, it's a game that wants you to sit down with it, dive deeply into its story for an hour or so, really immerse yourself in its world; then return to your own world, where perhaps you will reflect and meditate on the things you encountered in the virtual world; then come back to the game the next day to continue your exploration. I sometimes read about directors of television shows or movies who create works that teach you how to watch them: the content of the creative work is telling a plot-related story, but it's simultaneously communicating with you, the viewer, getting you to adjust the way you mentally process the sensory input you receive and grasp a deeper meaning behind them. Applying this concept to video games may seem confusing; when you say a video game "teaches you how to play it", it sounds like you're describing a tutorial, which is just about the least innovative thing imaginable. I think there's untapped potential for more exploration of this concept like Christine Love does here. We're used to video games being an interactive medium - it's probably the single most compelling aspect of video games as art form - but we're habituated to one-way control, with player agency driving a reactive game. It's kind of shocking and awesome to play a game that thoughtfully seeks to reverse that: not just through its story (making you think about stuff), and not through Skinnerian techniques (play the game every two hours to refill your energy! ), but unifying the gameplay, story, and mechanics in a way that not only draws you into its world, but also pulls the game into your own. I finished Analogue twice, once with *Hyun-ae and once with *Mute. I'm sure I'll play through both continuations at some point, but for my initial outing I picked up the story with *Hyun-ae. It was really nice to see how her personality has evolved from the first game; she's still clearly the same person (er, AI... whatever), but she has lost much of the shyness and caution you encountered in the first game. This change is explicitly the result of her relationship with you; after an unhappy life of being treated awfully by horrible people, she has met a peer who affirms her and helps support her growing self-confidence. She brings her own life experiences to the new story you encounter, variously sympathizing with those who have suffered like her, reacting with irritation to stupid Chinese symbols, or showing her confusion over some of the finer details of adult relationships. Much like you, she will gradually develop and modify her opinions over time, recasting earlier judgements as new information comes to light. Most of the straight-up relationship stuff was done in the initial Analogue, so your conversations in the sequel are a bit more reflective. Some of it is directly about the history you uncover, but often that will provide a springboard into more general musings: life as it should be lived, not life as it was lived. As with Analogue, your own responses are very limited, but the quality of the writing is still strong enough to create an unusually strong feeling of attachment; I wouldn't dream of hurting *Hyun-ae's feelings, even though she's an artificial intelligence even within the world of Analogue. But, hands-down the absolute coolest part of the game was making a cake! Late in the first day of the game, *Hyun-ae observes that the New Year is approaching, and she has some ideas for celebrating, including making herself a new hanbok outfit. There's some discussion of Korean traditions and such, which was all pretty interesting (and, like she said, a nice break from some of the heavier reading). On the third day, she decides that after the traditional stuff of the prior day, it would be nice to try making a cake. "Oh," I thought to myself. "That sounds like a cute thing to do. Will I need to, like, find a file in the game that contains a recipe? And maybe run a diagnostic on it? I mean, the interface is pretty simple, so I doubt there's actually a minigame around it or anything." And *Hyun-ae was all like, "NOPE. I want you to actually step away from the keyboard, go down to your kitchen, and make a chocolate cake." And I was like, "What?!" And she was like, "DO IT!" And I was all, "Aaaaaaaa I don't know what's happening!" And totally baked a cake! I really, really love this idea, and it's definitely the most memorable gaming experience to happen to me in ages. I have a few slight quibbles with the implementation. I was playing in my living room, so when *Hyun-ae asked me to go to the kitchen to check if I had butter, eggs, flour, and cocoa, it took just a few steps to get over there and confirm. I pressed the "Yes" button, only for her to frown and say something like, "That wasn't enough time for you to really check! I'm serious: go down to your kitchen and look in your fridge and cupboards!" If I'd had a terminal, I would have typed, "Woman, I am a baker. I know what staples I have in my kitchen!" But, in all seriousness, I totally get why the developer would want to put this kind of buffer in there: it's another chance to shake someone by the shirt collar and say, "I'm serious! Stop playing the game for a few minutes and go do this specific task in your real life!" Assuming you assent to make the cake, you have three options: a simple recipe you can make in a mug with a microwave; a more elaborate recipe with more ingredients that you bake in the oven; or using your own recipe. I opted for the middle option. It turned out... all right. I think I've gotten spoiled by Cook's Illustrated and America's Test Kitchen, and don't have great tolerance for recipes that don't turn out perfectly on the first try. Mine came out very soupy, with the center almost totally liquid. I ended up baking it for 30 minutes rather than the 20 her recipe called for, and it still didn't set completely. I am a bit curious where it went wrong; maybe I would have had better results using my stand mixer instead of stirring by hand, or maybe she had a different pan in mind (to me, "cake pan" means a 9-inch circular pan, but something with a larger surface area would have cooked more quickly and might have ended closer to the intended time), or maybe there was something off about the conversion to Imperial units. In any case: it sounds like I'm complaining, but it was fine, really. I don't think there's any way to combine butter, sugar, flour, eggs, and chocolate that doesn't end up tasty. In my case, the cake was sweet and goopy enough that the frosting became superfluous; so, now I need to bake a second cake to use the frosting from the initial one! First world problems, resulting in me eating more cake, hooray! It continues even further from here. *Hyun-ae suggests taking a picture of yourself enjoying the cake with her, which succeeded in somehow making the experience even more surreal than it was before. (This made me immediately think of a recent New Yorker article about the strong presence of digital mediation in modern Korean romantic relationship, which now seems to me like a halfway point between the world I inhabit and the world of Hate Plus.) I hesitantly did so, then later found out that there's a Steam achievement for the game that can only be unlocked by emailing that photo to the developer. This is crossing all kinds of streams that I hadn't even considered could be crossed, and delights me the more I think about it: games are pretty stereotypically pursuits that divide us, shutting us into private experiences with an artificial companion and presumably depriving us of a chance at real meaningful human contact; so Hate Plus inverts that situation, forcing us to make a connection with another human being in order to complete an artificial achievement within the game. Man, I can't believe I've written this much about the game and haven't even started addressing the plot! Maybe I should do that now. Both games are set in the far future, and investigate events that took place in the game's past (but still our future). Analogue focused on the events leading up to the massacre that killed off the inhabitants of the Mugunghwa. Hate Plus steps further back in time, and examines the events that created the conditions that would later precipitate the disaster. That's a pretty cool thing to do in itself: any time you study a period of human history, you realize that no single period can be considered in isolation. You can't really study the Romans without understanding the Greeks, and studying the Roman Empire leads directly to thinking about the Dark Ages. But, in most of our games (with a few happy exceptions), we're presented with history as a single, solvable puzzle: just uncover the hidden plot points, and bam, you understand everything. I really liked the way that these two games combine to reveal how every action has its antecedents. Finishing Hate Plus will help you understand many of the mysteries remaining in Analogue; but there are still aspects in Hate Plus that remain mysterious too, causing your mind to telescope out and try to trace the line from life in the 21st century to the world of the games. The story in Hate Plus is inherently tragic and foreboding. We know from the beginning how the world will end up, so we're prepared for disaster from the start: we're reading to find out how this happened, not what happened. It's kind of like a technique that Kurt Vonnegut regularly employed to strong effect: revealing the outcome from the beginning can (in the right hands) make us more invested, not less, in the story. The actual content isn't entirely dour, fortunately. There are many sweet scenes, showing budding romance or humor, mixed in with scenes of tragedy. There's also an impressive amount of potentially boring scenes: a large percentage of the records are minutes from council meetings, which contain a great deal of boilerplate around making motions and performing roll calls. Individually, these segments often don't seem very important, and the AIs confess to feeling bored by reading them. What I love, though, is that once you've traversed the entirety of the story, you can see just how pernicious the process was: apparently minor decisions made early on, like modifying general education requirements or how to allocate the cost for a motherhood tax credit, end up having profound repercussions that irrevocably change the politics and culture of the Mugunghwa. I love this because it feels so incredibly real, and resonates with how we have seen decisions in our own world come back to haunt us. Who could have predicted that the Treaty of Versailles would contribute to Auschwitz, or that rising tax rates would result in the independence of America from Britain? We often feel a shiver of anticipation when we read about these events, with the benefit of foreknowledge, but the people making those decisions at the time could not have comprehended the impacts of their choices, and I think Hate Plus does a fantastic job at capturing that tension between the banality of causes and the horror of effects. The game focuses on your reconstruction of events from the Mugunghwa, but there's also a nice plot thread following your character's own role and relationship. You have a personal email account, which receives several pieces of mail that shed some light on your profession, as well as the complications caused by getting entangled with an AI. In my game, *Hyun-ae and I talked through her nervousness at re-assimilating into life in the future, her desire for a physical body, and whether she had any obligations to testify for an inquiry into the events causing the downfall of the Mugunghwa. I deferred to her own wishes on that final question, and was happy to see that she had gained enough confidence and courage to provide testimony. Hate Plus ends somewhat similarly to Analogue, with the (very few!) credits displaying over some new static images that show where the story goes after the end. There seem to be more variations possible than in Analogue. The first game apparently had five different endings, though I only know of four of them (leaving along, leaving with *Hyun-ae, leaving with *Mute, or impossibly leaving with both). Those endings profoundly affect your experiences in Hate Plus; even though you're reading the same log files, different assistants will have very different reactions to the material. Anyways, in my specific ending I got to see *Hyun-ae delighted to be reborn in a new body, stylishly providing testimony in a hearing, and finally walking away hand-in-hand with my investigator. It was a really sweet conclusion to the story, and reminds me of the old dictum that if you want to have a happy story, you need to end it at just the right moment. Ending the story in Year 1? Sad. Ending the story in Year 319? Sad. Ending in 4989 AD? Pretty happy! It sounds like Hate Plus will definitely be the last game in the series, which is a bit of a shame since I've enjoyed it so much, but it also feels like a great place to wrap everything up. I'm sure I'll play through at least once more with *Mute, and may go back to Analogue to generate a "harem" ending too for the final route. So, yeah! This certainly isn't a game that everyone will enjoy, but people who love complex narratives will get a kick out of it, especially if they're interested in topics like gender politics or the intersection of human and digital emotions. It's a perfect, self-conceived gem of a game, which manages to do some surprisingly radical things that upset the traditional balance of power between gamer and game, while also telling a deeply compelling story. If that sounds like your cup of tea, you should check it out - there definitely aren't many things out there like this! My most recent run through Baldur's Gate was by far my fastest yet. It wasn't specifically a speed run, or a solo challenge, or anything like that. However, with so many games on my immediate docket, and the relative familiarity of the game's rhythms, I felt comfortable bypassing my usual OCD approach to completing every single sidequest in an RPG, and instead focused on exploring the new content available in the Enhanced Edition and other aspects of the game that I hadn't previously experienced. To be honest, I'd kind of resisted starting this game for a while. This is largely because I had just finished a replay merely two and a half years ago, so a lot of it was still very fresh in my mind. However, that has turned out fine, largely because the old game was a fresh enough memory for me to recall its old appearance, and recognize the improvements made with the enhanced edition. Zero effort to run on modern machines. A lot of what BGEE does was possible before, but it required spending a great deal of time reading online guides, downloading unofficial mods, and installing and troubleshooting patches. My recent plays of the classic game have required spending multiple hours before even starting the game to set them up, and some ongoing bugfixing throughout. That time saved alone makes BGEE's sticker price worthwhile to me. Speaking of rolling: your pointroll total is now displayed during character creation! I'm not at all obsessed about this, and didn't spend a ton of time to get an optimal roll, but it was a really nice convenience to hit the particular minimums I wanted. The recreated movies were really nice. I've read some complaints about the art style, but honestly, the originals have aged very poorly, and I thought this was a great approach to communicating the same content in a much more palatable way. The new NPCs are great. I hardly used Dorn at all, but it seems like he would be a solid addition to an evil team. (Though I am a little curious why they didn't pick an evil thief, since that's a notorious gap in BG2's NPC roster, but they were probably reluctant to add yet another thief to BG1's already-overrepresented population.) Rasaad was pretty cool, maybe a bit more interesting mechanically than narratively, but still worth picking up. Neera is awesome, one of my favorite BG1 NPCs now and at the same level of quality that I associate with the superior offerings in BG2. There are a couple of new areas, which all are as good or better than fan-created areas. Some of them very nicely match the flavor of existing regions, making them seem like something that might have been created back for the original. One major new area has a really cool look that doesn't look like existing areas, but is a very plausible expansion to the world. The new kits didn't do much for me, one way or another. The existence of kits at all was a neat innovation that's been around since BG2 and Tutu, but I wasn't terribly excited by the new ones they added like Dwarven Defender and Red Dragon Disciple (which seem to have backported from Neverwinter Nights). The window experience, while improved from the original, are still pretty awkward. Playing in fullscreen was too blurry for me, so I needed to use a window. Unfortunately, scrolling in a window is really awkward; it's still mouse-based, but since your mouse isn't locked to the game screen, you have basically a 1-pixel zone to hover for scrolling. I ultimately ended up scrolling using the arrow keys on my keyboard, which worked but was annoying. I play a lot of strategy games in windowed mode, and this is the only one I've had trouble with; it would have been really nice to, for example, be able to drag the map by holding down both mouse buttons or the center button. Mod support in general is somewhat lackluster. Only a few seem to have maintainers actively supporting BGEE, and some of my favorite ones aren't fully supported for BGEE. In general, it seems like mods that affect gameplay by adding new weapons, monsters, items, etc. are fairly successful, while old quest and NPC mods have been lagging. I'm curious if this will continue. I kind of suspect that a lot of modders may prefer to prioritize their work for BG2EE, since that tends to be the more popular game. Specifically, I found myself really missing the Unfinished Business mod and the BG1 NPC Project. The former restored and fixed a bunch of incomplete or disabled quests that BioWare had written but cut from the final game. It was weird to find stuff like, say, Yeslick's rage towards the Iron Throne conspirators totally gone; I've grown so accustomed to beats like that that I have assumed they were always part of the game. My overall recommendation would be for folks to wait until there's a smidgen more mod content available, but absolutely to play with BGEE once they can. I don't think I'd ever be able to return to fiddling with Tutu after this, even with the vast amounts of content it offers. Mechanical stuff out of the way, here's a fairly brief summary of how my last game went down. I don't think that Baldur's Gate needs spoilers after being out for fifteen years, but I suppose the Enhanced Edition additions qualify, so I'll treat those separately in a spoiler section waaaaay down below. As is usually the case for any new RPG session I start, I spent a fair amount of time planning out my character long in advance of actually starting the game. My prior games had been with Cirion, a half-elf male Chaotic Good bard, and Sebrina, an elven Neutral Good sorceress. I keep claiming that I'll do an evil character, but I never do; particularly for these games, which last for so long, I don't like occupying that headspace. So, after some consultation with my brother, I landed on a new approach: playing as a Lawful Good paladin (human, natch). I've never played Lawful Good in any BioWare or Obsidian game, so it would be relatively new territory for me; I typically eschew fighter classes, with the notable exception of my recent outing as Toman Benton in NWN2; and I also tend to avoid humans (again, except for Toman Benton). Since my last long RPG was a somewhat similar character, I decided to mix things up a little and roll my paladin as a woman this time. Rolling Raenir took a little effort, though she wasn't too fiddly. Paladins have really high minimum requirements, including a mechanically useless 17 CHA. As a frontline fighter and the one essential character on my team, I would need to max out my DEX and CON at 18 each. WIS could stay at its minimum of 13. Many people take INT as the dump stat, but I'd read that this can cause huge problems when fighting mindflayers in BG2 (each hit drains 5 INT, and going below 1 kills your character), so I knew I wanted at least 11 here. That left STR as the dump stat, which seems bizarre, but nobody uses their natural STR once you hit BG2 since you can find Belts that boost it much higher than you can naturally make it. For my kit, I picked the Cavalier, a really fantastic subclass. You get a permanent resistance to acid and fire; are permanently immune to fear and charm; get many casts of a special ability to remove fear in companions (which is very useful in BG1 where low morale is often a problem and enemies love casting Fear); and are permanently immune to poison. Nice! Unlike many other paladin kits, you get to keep all of the standard Paladin abilities, including Turn Undead, Lay On Hands, and divine spellcasting at high levels. The only downside to the kit is an inability to use ranged weapons, and frankly that isn't a problem at all since your role is to be a melee tank. If you do want or need to use ranged weapons, there's even a workaround available: just take an Axe proficiency, and use throwing axes; these are ranged, but since they aren't in your missile slot, they aren't blocked. There's even a boomeranging axe if you're concerned about the weight. The one thing I messed up on was my weapon. I picked Two Handed Swords with the long-term plan to wield Carsomyr in BG2. Of my initial 4 weapon skill points, I maxed out this skill completely, putting two dots into Two Handed Swords and another two dots into Two Handed Weapons. However! I had only taken the minimum 12 STR (again, with the idea of making this up with equipment), and had completely forgotten that two handed swords require a minimum 13 STR to wield! Aaaaaaa! In retrospect, I probably just have just gone back and re-rolled, but I did kind of like the idea of having a sense of urgency to drive me through the game. I knew that I would need to reach Baldur's Gate in order to get the Gauntlets of Ogre Power that could boost me to 18/00 STR. Baldur's Gate isn't available until Chapter 5. Fortunately. I could describe the plot of BG1 in my sleep, and so I knew exactly what I would need to do to get there as quickly as possible. So, I semi-glumly started whacking bad guys with my quarterstaff while I built up my team and raced through the main plot. Roleplaying Raenir was pretty fun. In some ways, it simplified and streamlined my gameplay. I remember how in my initial playthrough as a Chaotic Neutral Bard I attempted to pickpocket everyone in the entire game, up to and including Duke Eltan himself. As a matter of course I would also break into every house, rifle through barrels and drawers, amassing a petty fortune for myself on the way to saving the Sword Coast. Raenir was far too virtuous for that sort of nonsense, and never took anything from a non-hostile source. She also kept Imoen and Alora in line; among other things, this meant that they had a good in-character reason to focus entirely on skills like Find Traps. She was also very straightforward in her conversations: friendly, but blunt. She refused to ever disguise herself or pretend to be someone she wasn't; this meant that, for example, infiltrating the Iron Throne was a far more direct and straightforwardly violent affair. While Raenir is Lawful Good, she certainly prioritizes the Good aspect over the Lawful. This meant that, for instance, in cases where a vanquished opponent yielded before her, she always spared their lives. This sometimes had negative repercussions, as with Mulahey in Nashkel, but generally worked out for the best. She had a way of shutting down her opponents early on when they would try to corrupt her, in contrast to Cirion or Sebrina who would try and play along to gain an advantage. All in all, it was a fun new approach for me. I think I still prefer my "deceitful kleptomaniac with a heart of gold" archetype, but there's certainly room for variations like Raenir in my repertoire. Besides changing up my character, I also wanted to roll with a different party this time around. Fortunately, even though this would be the third time I've played this game as a good character, there are still so many NPCs that I could make an almost completely new party this time around. I knew that I wanted Neera, so she was my one Neutral companion. Rasaad was the other new Beamdog companion I recruited. I'd been tempted to pick up Dorn as well, and had a brief encounter with him, but ultimately felt uncomfortable including such a clearly evil character in my party and so gently let him go. Raenir was my main frontline fighter, but I also picked up Ajantis, another Lawful Good paladin. I'd run into him before, but had never had space in my party, so it was a nice change of pace to have someone new. Like many of my classic party members, he's a bit lacking in stats compared to canon party members (few people can match Minsc), but he was decent enough, and knowing the game as well as I do probably lets me get by with sub-optimal characters. Anyways, Ajantis has good strength and constitution, and was pretty effective as a co-tank. His one weak point is his DEX, but I eventually got some Gauntlets of Dexterity, after which he was nearly as effective as Raenir; considering his sword-and-shield style, he even had some advantages in absorbing damage. Rasaad was a weird addition. I had to chat with Andrew a bit before figuring out the best way to use him. He's very quick, can get a high number of attacks, and has decent STR; but his CON is very low, and like all monks he can't use armor. I ended up moving him further back in my party formation so he wouldn't be targeted as often, then either had him join a fight late to start whaling on the bad guys, or else had him flank the enemy and strike their rear archers or spellcasters. He has very fast movement, which makes him very well suited for this sort of thing. You can get Rashad's Talon fairly early, which is a +2 Scimitar; Rasaad is better off with melee weapons over his fists in the early part of the game. By the time he reached level 6-7, his fists had gotten strong enough, plus he had extra hits, to make them superior; however, his fists aren't considered magic weapons until BG2, so you should still keep an enchanted weapon on hand for enemies that require it. The most important thing, though, was getting him Bracers of Armor. I tend to associate these with spellcasters, but they're hugely helpful in getting him a decent AC. I think that after a few levels in BG2, his natural AC will drop low enough that they can be discarded, but adding those bracers was the single most important factor for me in keeping him alive. The cleric slot was the one part that was a repeat from last time around: Jaheira for a little bit in Chapter 1, then Branwen once I reached Nashkel, then finally trading to Yeslick in the Cloakwood Mines. I like clerics, and Yeslick is a great addition to a Good-aligned team. As noted above, though, I was a bit sad to see that much of Yeslick's dialogue was actually part of the mods I was used to playing with, so he didn't have a personal arc in this play-through. Finally, the thief! This one is always tricky. 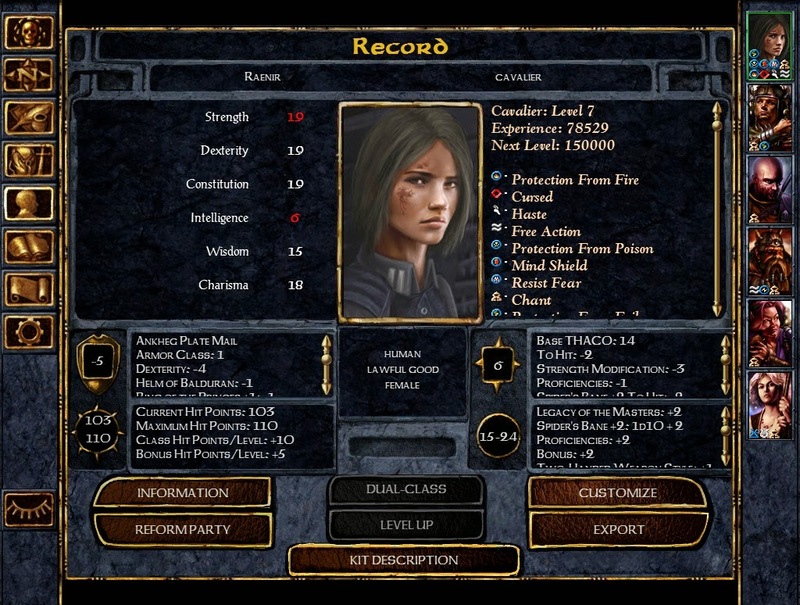 Imoen is a no-brainer; she has the best stats of any thief, can (and arguably should) be dualed to mage, is with you from Level 1 and so can be customized as you desire, is totally loyal to you (will always rejoin regardless of your actions or reputation), and has a fun, upbeat personality. Still, I've always kept her through both parts of all my prior games, so I knew I wanted to try substituting her for one of the many sub-par thieves available. I eventually traded her in for Alora once I finally reached Baldur's Gate. Alora was really fun, though I doubt I'll pick her up on future games. 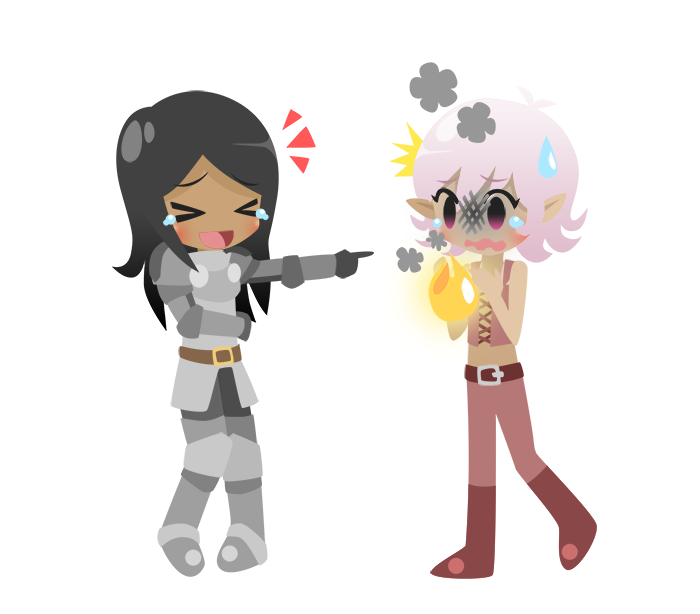 Alora is a Good-aligned halfling thief. She's notable for having a natural 19 DEX, and she also has a very useful personal item that gives +2 to Luck (which means +2 to all rolls!) and bonuses to many thief skills. Most of her other stats are pretty bad, though, particularly her CON which makes her very squishy. For some reason she has skills in Two Weapon Fighting, but you'll definitely want to keep her far in the rear. Also, because you get her so late, she has spent her Thief Skills very poorly, dumping them into useless skills like Pick Pockets. I felt fine about using EE Keeper (the update to the venerable Shadowkeeper) to re-allocate her thief skills; I don't consider it cheating, since it's just doing what I would do if I could level her up myself. In terms of personality, Alora is absolutely a stereotypical D&D halfling, practically to the point of satire: relentlessly cheerful, smiling, encouraging, and upbeat. It would be grating to go through both games with her, but the period from Chapter 5 until the end of the game is a nice enough stay with her. Oh, and speaking of potentially grating dialogue: whenever I revisit Baldur's Gate, I'm always re-surprised at just how corny some of the dialogue can be. There's a lot of jokey stuff in there like pop culture references, fourth-wall-breaking lines where they yell at you for clicking on them with the mouse, etc. Alora's selection prompts include the Ren & Stimpy line "Happy happy, joy joy, happy happy, joy joy!" and the classic folk song "Come on people now, smile on your brother, everybody get together, try to love one another right now!" It's surprising the first time you hear it, funny the next few, then gradually grows more and more annoying. BioWare has clearly turned strongly away from this stuff in their recent games, to the point where Isabela's "I like big boats, I cannot lie" line stands out as the single bit of referential humor I can recall across both major Dragon Age titles. But, the flip side is that I'm also surprised at how dark and macabre the story can be. I tend to think of Dragon Age and Mass Effect as the first "mature" BioWare games. I suppose that's technically true in terms of ratings, since the BG games and KOTOR were both rated "Teen" by ESRB, but they fit a surprising amount of blood and anguish into the story. Which is an interesting thought on its own; you can get away with much more violence in text than you can in video, as has long been apparent when comparing our restrictions on books to our restrictions on movies in American culture as a whole. Anyways, stuff like the dream of drowning in blood and the nightmarish slaughter below Candlekeep are fairly horrifying, even though they're communicated entirely in words. Back to my game: I raced to the Nashkel mines, then immediately started exploring east of the Friendly Arms Inn to locate the base of the Chill mercenaries. There's a longish trek to the Cloakwood Mine, but I made sure to stop by the spider den to pick up Spider's Bane. Once I got this, I was delighted to find that, unlike all other two-handed swords, this one only required a STR of 9 rather than 13, so I could actually wield it! I suspect that this may have been so non-fighter characters would have a higher chance of taking advantage of its unique Freedom ability, but hey, I'll take it. I immediately noticed a huge improvement in my entire team's effectiveness, now that Raenir was hitting at full strength, in addition to her ability to crit 10% of the time. With this sword in hand, reaching Baldur's Gate was less urgent, but I was still far enough along that I decided to press forwards. On the whole, I was really surprised by just how effective I could be with almost no breaks for leveling. I think I needed to reload twice in my fight against Mulahey at Nashkel, and thrice in one of the fights soon after where we were ambushed by Iron Throne assassins, but otherwise it was very smooth sailing practically until the end of the game. This is mostly because I know the encounters well enough to go into them with solid strategies from the start, but I think it's also due to the nature of XP gain and leveling in the game. Gaining a new level usually requires roughly twice as much XP as the level before, so almost all characters will end the game with about the same amount, regardless of how much grinding they do. I finished the game with shockingly low XP, somewhere between 75-80k; however, this took me to Level 7, and going all the way to the level cap of 161k XP would only have gained me a single additional level. I also had ample opportunity to consider the sources of XP. BG seems somewhat unique in its strategy for gaining significant XP to advance. In typical grindy games like classic Final Fantasy games, the most important factor is the sheer number of battles you do: quickly fighting a large number of moderate enemies is the best way to level up. In many modern RPGs and MMOs, XP rewards tend to be more quest-oriented: your best way to quickly level up is to accept and complete as many side quests as you can. Both of these approaches are pretty poor in BG1. Many common weak enemies like gnolls and xvarts give 35 or fewer XP, so even a swarm of 10 will only give ~350 XP. Sidequests are also not particularly lucrative; it's common for a quest to require visiting multiple maps, slaying enemies, completing conversations, searching for an item, and returning to the quest giver, only to end up with ~750 XP. Instead, the best way to gain XP is by focusing on a few high-level enemies. For example, spiders are relatively easy to kill, and can give 1400 or 2000 XP for a single enemy. So, the bulk of your XP ends up coming from fights against significant enemies, and this is by far the most time-efficient way to quickly level. Once in Baldur's Gate, I quickly grabbed the Gauntlets of Ogre Power; even though I would keep wielding Spider's Bane, I still wanted the STR to increase my THAC0 and damage; plus it was nice to FINALLY have a single party member with a high enough encumbrance to handle the absurdly high number of dead corpses you're required to lug around for various quests. After securing the gauntlets and recruiting Alora, I could finally relax a bit, and set about doing the optional quests on my agenda. By this point, I'd crunched the numbers and figured out that I didn't need to do all the side-quests, so I could just focus on the ones that I remembered as being most fun. Since you lose all your equipment at the start of BG2, and I already had the most critical gear to finish the game, the only stuff that actually felt important to building my character was acquiring the various Manuals and Tomes that boost your stats. These are scattered around, but by Chapter 5 you can get all but two of them, so I did. The important effects here were boosting my CON and DEX to 19, which pretty much made me the Ultimate Tank; after this point I would gain 15 HP on each level up, and would end the game with 105 HP at just Level 7. The DEX gave me a straight -4 to AC, and as a paladin I can wear any armor, which means that despite foregoing a shield I could tank pretty effectively with a final AC of -5. Boosts to WIS and INT didn't really matter, and STR definitely doesn't matter (except for Irenicus's dungeon) since I'll be artificially setting that with belts in BG2. (I would have been very tempted to give the WIS and INT tomes to Neera, since she would be much better with an INT of 18, but I'd learned from my brother that Neera's stats don't transfer to BG2 and so it would essentially be wasted.) CHA wouldn't really matter that much, but having a natural 18 here does free up a ring slot in BG2 since I won't need to rely on the Ring of Human Influence. It was a bit funny to look at the map and see all the places that I'd never even visited in my entire game: I never set foot in High Hedge, or the Firewine Bridge, or Gullykin, or Ulcaster. And these aren't boring places, either: I remember each of them having fun or funny quests, and decent rewards within the context of BG1. Their very existence is indicative of one of the things I love most about BG1: its extremely open ended and non-linear design. It's a bit of a truism that western RPGs tend to be less linear than their Japanese counterparts, but even by those traditionally relaxed standards, BG1 stands out for its lack of direction at the start of the game. Most games will typically start the plot with an immediate quest to start work on right away, and a glimpse at the end-game storyline. You don't really get either of those at the start of BG1: you're free to wander pretty much anywhere along the Sword Coast, just stumbling into various quests and adventures and building up a party along the way. The plot starts picking up steam after you visit the Nashkel Mines, but it's an incredibly organic thing that's driven by the world itself, with various rumor of tainted iron vaguely pointing in that direction but no artificial system pulling you there. All right, now let's talk about the new NPCs! First up, Rasaad. He felt like a perfectly solid, though not extraordinary, character. His voice acting was good, and manages a convincing accent that doesn't come across as cheesy (which can't always be said for the original BioWare NPCs). His personal story felt a bit heavy on the "Let me tell you about the significant events of my past!" side of things, along with some relatively vague pseudo-philosophy around the Sun Soul Monks. As you get to know him better, you start to dive into his past, particularly a painful childhood incident where his brother Gamaz was killed by Shadow Thieves. Rasaad is Lawful Good and generally serenely confident in his beliefs; Gamaz's death is a rare sore spot and an occasional source of doubt for him. The actual monastery is the largest new area created for BGEE, and looks fantastic. It's a snowy mountain, which I'm guessing is somewhat familiar to people who have played the Icewind Dale games, but it's the first time I've seen something like it in an Infinity Engine game. Anyways, it looks cool and is very well designed, with snowy banks, tracks along heavily-traveled routes, and then "climbs" up a large number of "stairs" to reach the actual structure. It's a really nice way of evoking 3D space in a strongly 2D pre-rendered background. Passing through the monastery takes you to an outcropping at the very peak, which includes a very pretty and very unusual background showing the mountain range drifting off towards the horizon. It's a kind of perspective that's unique to the game, and is visually striking, while also being slightly awkward; since everything is still really a 2D background, the same fog of war rules apply to this background as a regular flat one, leading to some effects that don't look right. Regardless, it's still cool, and probably the best visual addition to BGEE. Rasaad's story has a bit of a twist: it turns out that Gamaz hadn't died after all, but was instead recruited by the Dark Moon Monks, the evil counter to his virtuous Sun Soul Monks. The monks surely held much of the blame, but Gamaz also was corrupted by his pride: Rasaad was always the better fighter, and Gamaz felt humiliated by the knowledge that Rasaad would secretly hold himself back and not commit to his sparring matches against Gamaz. Rasaad goes through some soul-searching during this segment and after Gamaz is defeated; I chose to buck him up, keep him on the virtuous path, to mourn Gamaz's death while remaining confident in his own righteousness. There were several other conversation options available that felt more like "turning him towards the dark side", and I'm curious what would have happened if I'd pursued that route: would he start to abandon his faith? Or just get mad at me? Either way, it was a nice arc; not my favorite storyline, but I think that's just due to my own personal tastes. Next up, Neera! Neera was wonderful! She was a very well-realized party member, with a different play style and a super-interesting personality and background. The Wild Mage class has been around since classic BG2, but like the Monk class, we haven't had any NPCs in that mold before now. Wild Mages are a bit like Specialist mages since they get an extra spell at each level as soon as they unlock their first one, which means that for almost the entire game they have double the normal of their most powerful spells compared to a vanilla mage. Unlike specialist mages, they aren't locked out of any opposing schools, which makes it much more viable to run with a single mage in your party. The most obvious impact of a Wild Mage, though, is the uncontrolled nature of their magic. Quite often, when you cast a spell, it will end up being cast at a level higher or lower than normal. This doesn't have any effect on spells with a flat impact like Armor, but can make a difference for spells like Magic Missile that increase (or decrease) in power with your level. Less often but more spectacularly, a Wild Surge can sometimes occur, which can have spectacular effects. In one of my climactic battles against the leaders of the Iron Throne at the end of Chapter 5, I had killed off two of their leaders and was struggling against the rest, when Neera attempted to cast Magic Missile and ended up healing everyone in the battle. Not my party: everyone. Anyways, stuff like that occasionally happens, sometimes good and sometimes bad, but it can force you to rethink your strategy on the fly to respond to the unexpected, which made fights more fun. I suspect that wild magic will become more interesting and feasible in BG2. The tempting-but-dangerous hook of the class is the Reckless Dweomer, a Level 1 spell that lets you cast any spell in your book. Any spell. Any spell. Meteor, Time Stop, Summon Planetar... you name it. The catch, though, is that you always cause a Wild Surge. In BG1, the odds of successfully casting a spell seem so low that it isn't worth trying. However, higher levels increase the odds of a favorable outcome, and higher level spells like Improved Chaos Shield can also boost your chances. And, frankly, even if only 1/3 of your Level 1 spells were converted to Level 9 spells, that's still insanely powerful. So, in BG1 wild magic was mostly a flavorful burden to endure, but I can see it becoming a keystone for Neera's gameplay in the future. There's a ton that I like about Neera's dialogue - she's funny, and independent, and engaging - but the thing that impresses me the most is probably how closely tied her character is to her conversation. She isn't just a bundle of stats connected to a set of lines; her identity as a wild mage is a single force that drives both her personality and her gameplay. So when she talks about how she's driven away friends in the past as a result of the disastrous spells she's cast, it's a touching character moment that's amplified by your memories of the times similar things have happened to you in your own battles. And her quest to find a mentor that will help her control her wild magic isn't just interesting for character-development purposes: it's a dream that you can totally buy into and see how it would benefit your entire team. Neera also has a very well-designed romance. I felt just a tiny bit guilty about installing the Neera Expansion mod to allow my female PC to romance her; this is standard operating procedure for the straight-only original BioWare NPC romances in BG2, but Beamdog had included both straight and bi characters as romance options, meaning that Neera's straightness is an artistic decision. My greed won out over my guilt, though, and I was thoroughly pleased with the experience. The mod did a great job at slightly tweaking the romance dialogue to be gender-neutral; I think there's a single line where she says something like "Hey, mister!" but that was the only slightly jarring moment. Also, the mod adds flirts similar to the classic flirtpack, for which I've always had an irrational fondness. Anyways. I'd been a bit curious about exactly how the romance would play out, given that she would also be an NPC in BG2 and would presumably have an arc there as well. It feels very natural here, maybe roughly equivalent to the first third or so of a romance arc in BG2. Like all the best conversations, these tend to drift into her background and outlook, not so much focusing on your immediate quest as exploring her as a human (er, half-elf! sorry!) being. She's funny and sharp-tongued; I initially started out being very earnest and encouraging of her, gradually shifting to a more playful and humorous approach as the relationship deepened. It can sometimes be a little hard when reading text to figure out whether a particular line is meant to be tongue-in-cheek or not, and I was occasionally unsure whether she was playing along with my jokes or reacting in horror. However, it certainly helps that Neera's voice actress is so terrific. She has a great tone, and done a fantastic job at selling her personality: young, impulsive, very aware of the difficulties she has caused in the past, to the point where she's become inured to them and has developed some effective emotional armor to protect herself. Her personal quest was pretty good, though the graphics weren't as striking as Rasaad's, and completing it helps you feel like you're cementing your connection. Late in the game, you continue to learn more about her background, and at one point run across a dwarf who claims she stole money from him. (I feel lucky to have clicked on this guy; he's one of the only plot NPCs on the streets of Baldur's Gate who doesn't automatically initiate conversation with your party, and one of the only ones I specifically spoke to. I could easily have missed him, which might have locked out some of the later content from Neera.) She initially denies this, then admits to it, then says she was going to pay him back, then makes it pretty clear that she won't. There were a couple of options here; I chose to back her up, which started a fight with the dwarf. We killed him, which made me feel bad, and the journal entry made some very ominous comments that seem to imply Neera may attempt a similar betrayal on me in the future. I want to deny this - it feels like I've shown enough trust in her that she would be reluctant to abandon it - but it could certainly be effective foreshadowing for more twists and turns in her romance for BG2. Finally, here's something I've barely been able to contain my glee over: an uber-cute drawing of Raenir and Neera! This was created by the incredibly talented and friendly Choco-Minto. She's a fan of BioWare games, and has made a ton of particularly adorable Mass Effect doodles over the years. She recently accepted some fan commissions, and I was stoked to see her take on my character. Phew... I think that's it! I have to say, I do really enjoy this less-comprehensive approach to replays of RPGs, and think I might do it more in the future. I'll probably hold off for a bit on BG2EE even though it's already installed; in the short term, I need to wrap up my NWN journey with Mask of the Betrayer, and I think I'll want to make sure that my favorite mods are in good shape before I embark on BG2EE. Still, curiosity about what happens with Neera is making me very motivated to continue the story, and I look forward to experiencing a fresh take on my all-time favorite game. I am pleased to report that Faerun is safe once more! I’ve wrapped up the final push in Neverwinter Nights 2, and can see why this game has engendered such loyal affection from its fans. At the same time, I can also see why Obsidian continues to hold a reputation for developing brilliant, flawed games. The best stuff of NWN2 meets or exceeds the high standards held by my all-time favorite RPGs including Baldur’s Gate 2 and Dragon Age: Origins. This awesomeness is mitigated by bugs (ranging from the cosmetic to the game-breaking), stuff that feels incomplete or half-baked, and a handful of very odd character moments. I really admire the creators’ ambition, and, as with many of their other games, it feels like if they’d spent another six months or so fixing and polishing the game it might have been an undisputed classic. Gorgeous environments. It includes by far the most green and lush landscapes of any NWN game I’ve played, along with the normal assortment of dungeons and towns. Nothing feels repetitive, and most areas look epic and dramatic. Beautiful lighting. For most of the game I’ve admired the weather system, which includes a true day/night cycle and wonderful mood lighting under twilight starry skies, rosy dawns, or blazing suns. In the third act, though, I started getting access to the highest-level spells, and was floored by how crazily great their dynamic lighting looks. Cast a lightning storm and see your shadows grow to ten yards in length! Terrific party AI. I almost never needed to micro-manage my allies, and they were smart about things like positioning, casting appropriate spells at the right time, etc. Immersion. In combat, characters do a good job of speaking up when they need assistance, so even under AI control I’m alerted when they could use a hand. Character designs. Everyone looked unique and interesting, and each person had a vibrant, special story. I would have liked more for each, but that’s a good sign of how much they appealed to me. Combat animations. 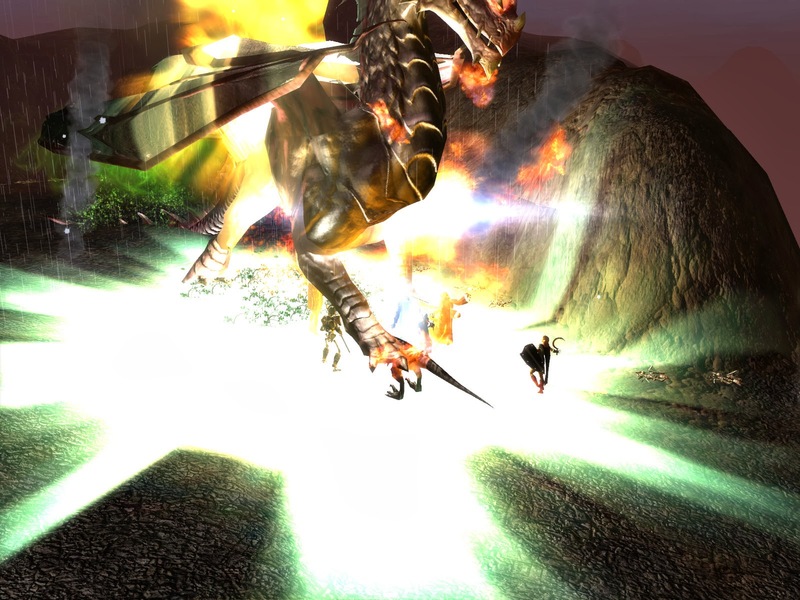 You don’t get quite the same awesome boss-killing moves as what we saw in DA:O, but the round-to-round moves here are stylish and fun to watch: my fighter PC twirled his sword around in a big arc, leapt high in the air to deliver critical blows, and lunged forward to unleash powerful dragon fire attacks. Spellcasters and rogues also have compelling movements, and I frequently found myself pausing the action mid-combat to try and capture something especially cool-looking, which almost never happened in the earlier games. The music was good, but honestly not particularly memorable. I can’t think off hand of any major themes. Pathing. For the most part it’s vastly improved over the earlier NWN games, but I still sometimes had trouble getting folks to move the right way. Looting. NWN2 is exactly what you would expect from the time it is released: much better sorting and storage limits than earlier RPGs, but still far too time-consuming compared to the streamlining in DA:O and, especially, DA2. Party size/composition. This is probably mostly my own fault, but there are a LOT of NPCs (I think one for each major class type except monk), and even with a bigger roster than any of the NWN1 games, it’s tough to find spots for everyone in your party. I ended up almost always traveling with my favorite folks, and some of my companions never entered my party before the final fight. There’s no equivalent to DA:O’s camp, so without traveling with people, you won’t have any opportunity to explore their personalities. Peaceful companion conversation. I mentioned above that there is no equivalent of camp. That isn’t technically true; you have various bases of operation where you can rest and chat with all of your companions. What’s annoying, though, is that everyone keeps the same topics throughout the entire game. So, in Chapter 3 you’re asking Neeshka the exact same questions as when you first met her. In a couple of cases, getting a higher Influence will unlock a new response; but these are rare, and often buried several layers deep in conversation trees. I would have preferred for topics to disappear after being questioned, or even switched to one-time conversations, over the stultifying repetitiveness we got. Bugs. Even with the latest patches and a fan-based patch, I still ran into a game-stopping bug less than an hour before the end of the game. A critical enemy failed to spawn, leaving me fighting an invulnerable opponent untiL I gave up and looked online for a solution. Thank goodness for PC gaming, where at least I could run a debug script to force my game past that point. Some bad/broken conversation loops. You spend much of the second half of the game improving a fortress. The dialogue here is generally really good, giving you good flavor as things continue to get better. But, after you’ve fixed up everything, the conversations all revert to talking about what a dump it is. It doesn’t have any impact on gameplay, but was still a deflating annoyance. Okay, I think that’s enough technical stuff for now. Let’s talk story! I’d complained in my last entry about how the plot for this game feels rather cliche: ancient evil power is awakening and wants to take over the world. That is technically true, but in Act 3 I started to realize how nuanced the situation actually is. There’s an extra layer of… hm, maybe irony or melancholy behind the King of Shadows. He was originally created to be a protector and defender, and has been confused/warped in his mission to become the opposite of that. I’m trying to think of an analogy to another work of fiction and keep failing… the closest I can think of is General Jack D. Ripper in Dr. Strangelove, though the King of Shadows doesn’t share his insanity, just his fanatical devotion to duty. So, I was happy to see that while the plot had all the rhythms of a typical epic fantasy, the story could still feel a little original. It was also spun out fairly nicely. Typically, especially in the NWN games, these stories are all about increasing revelation: you start out knowing nothing, then learn a little more, then a little more, and gradually collect full knowledge about the enemy you face. NWN2, though, has a slightly more kaleidoscopic approach, where you hear from a variety of sources about the King of Shadow’s background. In Act 2, you meet the ghosts of the Illefarn Empire, who were involved in the events around the creation of, battle against, and eventual imprisonment of the King. Based on these conversations, I thought I had a pretty good idea of how things went down. However, later in Act 3, I met a planar dragon, who had appeared prominently in the tales as a heroic but tragic figure. Talking with him, though, I learned that he was actually just an incredibly powerful mercenary acting out of pure greed and, later, self-preservation. I liked the way that shook the legend a little: it isn’t a twist, but it’s a reminder that we’re only experiencing mediated information, and can’t gain direct knowledge of something that happened so far in the past. Another would-be-cliche element was Ammon Jerro. More than a few RPGs have had a villain, who might even be built up as the main villain, whom you eventually defeat, and who then joins your party. General Leo in FF6 and Loghain in DA:O immediately spring to mind (though, granted, Loghain postdates NWN2). I was still surprised when it happened, though, so I suppose that means that it worked. I also liked how he kept his personality and goals. Given that he’s hundred of years old, and has devoted his entire existence to a take-no-prisoners, no-holds-barred war against the King of Shadows, it would have been unbelievable if a simple Diplomacy check could have turned him into a kind and loving side-kick. He continues to see himself as the most important component of the war, and is explicitly joining with you solely because it aligns with his primary objective. Hm, let’s talk about romance. Mine was with Elanee; from what I understand, as the game shipped only Elanee and Casavir (!) were available as romance options, although there’s disabled dialog in the game which shows that they were working on adding Neeshka and (I think) Bishop at the time the game shipped. Romance is one of the more glaring examples in the game of something that felt like it was decent, but also rather rushed and could have been done much better. I liked Elanee, and dug her quest and the very gradual evolution she undergoes. In some ways, she’s much wiser than your PC, and she’s very confident in herself and her abilities. But, she clearly has some major gaps in her education, which she openly acknowledges; she’s a bit proud of this, which was a nice touch. As far as the romance itself, though, it felt very light, one of the most passive I’ve encountered yet. She definitely doesn’t have the edge of, say, a Viconia or a Morrigan. It felt somewhat similar to the romances in HotU, which basically consist of you not being a jerk to someone, and then late in the game they say “I LIKE YOU DO YOU LIKE ME CIRCLE ONE Y / N”. There’s a big finale romance scene up on the battlements of the fortress the night before an epic battle that will determine the course of both your lives and the future of the world. It’s touching, and special, and all of your dialogue prompts feel like they were written by ten-year-old boys, culminating in the worst pickup line in the history of the universe. Then, after tastefully fading to black before a presumed night of passion, you’re woken up by an early start to the battle, in your bedroom chambers with Elanee. And, if you speak with her (after consummating your love and facing likely death), you have the EXACT SAME DIALOGUE OPTIONS AS WHEN YOU FIRST MET HER. Ugh. Anyways. I’m glad we got what we did, and I also wish that we could have gotten much more. So, NPCs… a year ago or so I listened to a podcast with Mike Laidlaw, the executive producer of Dragon Age, in which he mentioned that since BioWare has integrated telemetry into games like DA:O, it has finally gotten solid data about the ways people play its games. One major discovery they made was that the earliest companions you encounter are always the “stickiest”: players in DA:O have FAR higher “attach” rates to Alistair and Morrigan, since they’re they ones you’ll encounter first. Members you get later, like Oghren, have far lower attach rates. This isn’t intrinsic to the characters, either; in DA:O:A, Oghren has essentially the same stats and personality (perhaps just slightly more intoxicated), but he’s one of the first you encounter, and so the vast majority of players will keep him in the party for most of the game. I had that in mind while playing NWN2. For most of the game you can bring along 3 NPCs. No matter what, you’ll get 3 NPCs in the early portion of the game: Khelgar at the inn, Elanee on the road, and Neeshka before reaching Fort Locke. Regardless of your PC archetype, these 3 provide your party essentials: Khelgar is a melee tank, Neeshka is a thief, and Elanee is a healer. You certainly CAN change things up, especially if your PC duplicates one of those roles, but from a mechanical perspective you could stick with that group through the entire game. And so, for the most part, I did… but I was impressed at how the game managed to shake things up. In BioWare games this is traditionally done via companion quests. One of your companions asks you to do something, and you’ll need them in your party to accomplish that task. The hope is probably that you’ll spend the time with them to get to understand their advantages, and will swap them in later. There were a couple of examples of that here, though weirdly it seemed to emphasize your starter characters: Khelgar’s Ironfist arc, Elanee’s Circle arc, Neeshka’s Leldon arc. There were shorter encounters or mini-quests for Grobnar (finding the Wendersnaven), Qara (defending against her father). Bishop has a forced plot-critical plot. If there were any quests involving Sand or Casavir, I missed them. Anyways, the mechanical innovation I liked was the use of True Names scrolls which were introduced in Act 3. There were good lore reasons for Zhjaeve and Ammon Jerro’s unique abilities to use the scrolls, and good story developments from their pursuit of the power contained in the scrolls. I hadn’t had a lot of experience with casters before - I typically just brought Elanee and knew her selection of druid spells decently well - so it took a bit of time to bring myself up to speed on Zhjaeve’s cleric spells, and even more with Ammon’s fundamentally different Warlock abilities. But the rewards were powerful, and I grew to fundamentally like Zhjaeve’s odd personality, so much so that even after I no longer needed to keep her in my party, she essentially replaced Khelgar in my lineup for most of the game. On the topic of Zhjaeve, it was pretty intriguing to see all the ways in which this game did and did not connect with lore from other games. One of the most immediately obvious factors in this, the first Obsidian NWN game, was the prominent role of the githzerai and githyanki. They've been almost entirely absent from NWN (save a brief segment in HotU), but were very important in Planescape: Torment, which was created by Black Isle by many of the folks who would go on to found Obsidian. I also really liked their treatment of the lizardfolk, which indirectly referred back to the Creator Races that featured heavily in the earlier NWN1 expansions, and retroactively made those plot elements seem more interesting and melancholy. And, of course, NWN2 has a much bigger role for Lord Nasher, who briefly appeared in NWN1 and wasn't a factor at all in the expansions. His role here felt fairly consonant with his earlier introduction, though there's admittedly been a lot of changes in Neverwinter in between the two games. Along the same lines, Aribeth and Fenthick are briefly mentioned in a single book I found, but don't seem to play any major part in the narrative. Which is fine. Their story has been told, and is now over. I wrote a bit last time about fortress management in this game. There’s a lot you can do in Act 2, and they held back a few elements that can only be done in Act 3, like deciding what to do with a ruined church and guard tower. I opted to turn the church over to a priest of… hm, I want to say Helm though that’s probably wrong. The alternative was a monastery, which also sounded cool, but I figured a church would be more likely to heal my soldiers during the inevitable battle. I provided the tower for a mage, my reasoning being that I was very strong in the arts of physical combat and a mage would compensate for my weakness in arcane matters. From what I could tell, though, the main advantage of getting the mage is access to a new store, which had some exotic gear that looked very useful for a caster but was useless for me and my standard party. I now wish that I had gotten the Neverwinter Nine tower instead, since that presumably would have given more options for weapons and armor. Oh, well. Once again, my pursuit of a Chaotic alignment had blocked me off from a desired but minor in-game benefit. One bigger and more annoying block was realizing that I had failed to recruit a potential sergeant back in Act 2. There are only four available, and each can provide a significant benefit to one of the many aspects of military leadership (recruiting, training, patrolling, special operations). By missing out on her, I lost my chance to achieve a “Best of the Best” training rating. Still, despite that loss, I was very happy with how things ended up. Starting in Act 2 I’d prioritized the quality of my soldiers over quantity, building up a small but elite fighting force. I’d initially focused on clearing the roads, which helped promote merchant traffic and provided revenue for the keep. In Act 3, after all my infrastructure was done, I followed Kana’s advice and turned their focus back to training, eventually reaching a rating of Best. During this time our security around the keep had deteriorated somewhat, so I had them return to the task, eventually building up a solid support zone that ensured a happy and productive peasant population in addition to numerous merchant trains. I knew that money wouldn’t be a problem, so I kept taxes low or nonexistent. By the end of the game, I had gradually built up enough soldiers (even with supporting Breliana’s request for levies) that I had a good-sized force by the big climactic fortress battle. Which, incidentally, was awesome. I need to remind myself that this game was released BEFORE DA:O or ME3, since I keep wanting to say that this battle reminded me of those games, when, if anything, those games were influenced by this one. All of the decisions and preparations you’ve made over the second half of the game influence the form and flow of the series of battles taking place during the siege of the Keep. Alliances you strike result in different controllable forces appearing to battle by your side; the training and equipment you’ve given your Graycloak soldiers determines how effective your personal guard is; fully upgrading your keep’s defenses gives you additional benefits like archer cover fire while the enemy tries to scale the walls; recruited mages will use fireballs to blast siege towers into flaming pieces; the confidence you’ve instilled in your companions will determine their leadership effectiveness while leading their own troops into battle. It’s tremendously exciting and cathartic to see all the hours of preparation pay off in such spectacular form. The very end of the game is really cool: your ENTIRE party all comes together for one big, epic battle. But before that came yet another surprise: Black Garius tries to tempt various party members into joining the dark side. D’oh! I’d thought that Influence would only affect dialogue options, and so hadn’t worried much about Influence with characters I didn’t much care about, but it was now growing important. At least in my game, Garius only tried to tempt my Neutral or Evil-aligned party members. I’m a bit curious about that: does he always try to tempt them, since they’re closest in alignment to him and his masters? Or is it because they are most different from Toman Benton’s Chaotic Good alignment, and if I were playing an evil character, he would have tempted my Good companions? Or is it the result of the choices that I’ve made so far, and pursuing a more evil path would have turned my better party members against me? I’m continuing to deliberately stay away from spoilers even after beating the game, to protect against the (probably unlikely) chance that I’ll inadvertently find out stuff about Mask of the Betrayer, but I remain curious about the mechanics of betrayal. Neeshka was first up: she was snatched away when we entered the final lair, and navigating its trap-strewn interior without a thief made me miss her even more. It turns out that, in addition to her demonic heritage, she also descends from elements of the Illefarn Empire, and Garius undertook a very disturbing-sounding bloodletting ritual to coerce her to joining his side. Fortunately, Neeshka was probably my second-highest-Influence’d character (alongside Elanee), and I passed both Influence checks to take her back. Next was Bishop, who abandoned me during the siege of Crossroads Keep. I think I had a net positive Influence with him, thanks to my chronic habit of agreeing with whomever I’m speaking with. I passed both Influence checks with him, but failed my Diplomacy check (which I now think might be impossible, seeing as I had maxed it at ~22 points on my Level 20 character), so he abandoned the field altogether. I was a bit nervous about Ammon Jerro and Sand; I had gained only a couple of points with each of them, and hadn’t spent much time with either of them. Fortunately, they saw through the lies of Garius. Ammon, in particular, made some great in-character comments about how he would choose my actions over Garius’s words. The one member I lost was Qara. As soon as I realized that my members would be tempted, I had a feeling she would likely abandon me. I’d barely interacted with her at all, and I think that the fact that Sand was standing by me increased her desire to leave. So, that was a bit of a bummer, but more for story reasons than anything. The final fight itself was terrific. Big, epic, many stages, lots of mechanics. I only had two characters in my enormous 10-person party left alive by the end of the first phase. I fumbled my way through the King of Shadows fight before figuring out the best way to use (and position and recharge) my Ritual of Purification powers. I lost pretty badly in the final phase, then reloaded and breezed through the earlier portions again, and absolutely nailed it on my second try. And, like that, it was over! 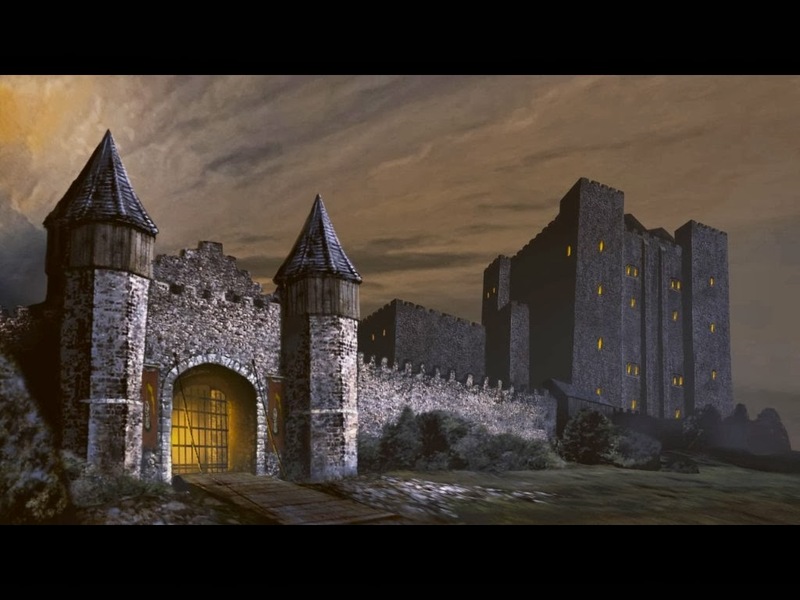 The ending to the game seemed uncannily like the ending to the original NWN1: you and your companion(s) are trapped in a faraway fortress, having defeated an ancient evil, and everyone praises you for saving the day; you aren’t heard from again, but surely are continuing your adventures elsewhere. As I noted back in NWN1, this is a pretty lame way to end a single-player RPG, but actually a very decent way to cap a campaign that’s meant to usher people into a series of future user-created campaigns. You want to set up a template implying that your character is free to roam and pop into whatever random situation you want, rather than have an expectation that he/she will settle down at home and continue protecting Neverwinter. The non-PC parts of the ending, though, were much more fleshed out. It’s closer to the ending of HotU or DA:O, with customized screens explaining how certain story elements were wrapped up. So I got to see Captain Breliana find continued success in Neverwinter’s employ; the Harbormen survive and band together again to rebuild their destroyed homeland; Kana oversees Crossroads Keep which becomes a major center of trade in the region, et cetera. So, yeah! All in all, a great game, which manages to overcompensate for its rough edges with some great story and good technical achievements that continue to look and feel good even today. I wasn’t necessarily expecting this to be the case, but it seems to continue the trend of every NWN entry being superior to the one that came before it (though the gap between HotU and NWN2 is smaller than the gaps between NWN1->SoU and SoU->HotU). I’ve skipped over a bunch of interesting side-quests and stuff in this writeup, including a fight against a real live dragon! I outdid myself in taking an embarrassing number of screenshots for this act, which as usual I have collected into yet another spoilerific album. I’ll be taking another little break, then plunging ahead into Mask of the Betrayer, which you may recall was my original reason for starting this insane project in the first place. And I think it’ll likely be my last entry, too; Storm of Zehir sounds interesting, but not exactly my cup of tea when there are more narrative-heavy games floating around out there.